An away team discovers a young boy trapped in the wreckage of a research vessel sent to explore the interior of a Black Cluster. Using his superior strength, Data (Brent Spiner) rescues the boy, Timothy (Joshua Harris). Back on the Enterprise, Counselor Troi (Marina Sirtis) encourages Data to spend more time with Timothy in hopes of discovering what happened to him and his ship. Though he is in shock from the loss of his parents, Timothy is intrigued by Data's android capabilities, especially his lack of emotion. Soon he begins imitating him. Meanwhile, the Enterprise is bombarded by powerful shock waves from the Black Cluster. As the danger mounts, Data discovers that Timothy holds the secret to saving them all. The Enterprise transports a delegation of Ullians, an alien race of telepathic historians, to Kaldra IV. The leader, Tarmin (David Sage, demonstrates his ability to probe a subject's memories, but most of the crew are reluctant to participate. That night, Tarmin's son, Jev (Ben Lemon), secretly enters Counselor Troi's (Marina Sirtis) mind and the next morning she is found in a coma. While Dr. Crusher (Gates McFadden) searches for the cause, Riker (Jonathan Frakes) questions Jev, but discovers nothing. 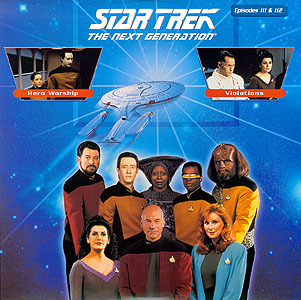 Later Riker falls into a coma, followed by Dr. Crusher. Picard (Patrick Stewart) suspects the Ullians are responsible, but has no proof. 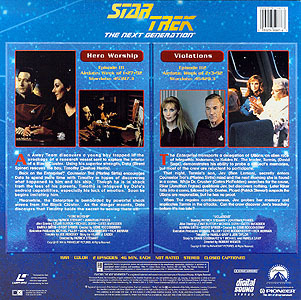 When Troi retains consciousness, Jev probes her memory and implicates Tarmin in the attacks. Can the crew discover Jev's treachery before it's too late?